While many perspectives continue to work with universal concepts drawn from the metropolitan centers of the global north, childhood and youth are constructions that vary according to the social processes that shape young lives in different places around the world. 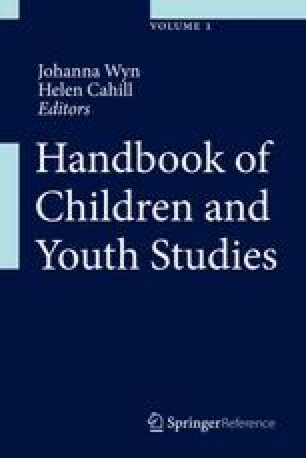 Addressing the need for better recognition of the complex differences and interconnections that structure young lives, this introduction highlights the significance of a spatial perspective for rethinking the theories and disciplinary priorities of childhood and youth studies. The chapter covers the theoretical meaning of concepts such as space, place, and scale and draws on these concepts in order to capture the local, national, and global diversity of contemporary childhood and youth. A spatial perspective on childhood and youth highlights issues such as the different intersections of play, education, and work in different spaces and places, the significance of mobility and immobility for understanding inequality, or the way that young people’s identities are constructed through relationships to place. A focus on space and place also breaks down existing binaries such as urban/rural and local/global and allows experiences from the global south to influence theoretical development within the discipline. As such, a spatial perspective crosses geographical and theoretical divisions, enriching existing perspectives on children and young people and creating new theoretical agendas in studies of childhood and youth.